I feel like I’ve been missing-in-action for months on my blog and Facebook. I can’t believe it’s been since mid-June that I’ve actively engaged in this part of my life. And I do enjoy it. I love being able to keep with family and friends, share what’s been going on in my life, finding new crafts to create and books to read. But since this summer things…okay time, to be exact, got away from me and I allowed myself to wallow just a little too much in the overwhelming sea of changes going on in my life. I’m a planner and having unexpected changes pop up throws my whole being into a sense of chaos. I find it hard to get my bearings and put together a new plan to merge all the must-dos and need-to-dos into order. In the scheme of issues and problems one has to face, mine weren’t that horrible or unmanageable. Just a few too many unexpected ones at the same time. There was the foot injured that was likely a stress fractured and kept me out of my garden, and pretty much house bound, except for work during the whole summer. It wasn’t easy walking around in the boot, or going up and downstairs, which the doctor told me was the whole point in it, keeping me off my foot. The treachery of navigating stairs had me writing on a laptop upstairs rather than in my office. On the bright side, at least I wasn’t in the boot while we were in California. It would’ve made getting around Disneyland, the Safari Park, and all the wineries difficult. I hated not being able to tend to my garden as it was a hobby I enjoyed. Sadly, the lack of attention, combined with the heat and humidity, left our plants in dire condition. We didn’t get much produce, and a lot of the plants succumbed to the heat and squash bugs that attacked the garden. Then came the unexpected home renovation bathroom project which my friend named Armageddon. We had a recurring mold issue in our bathroom, and got tired of cleaning it, so we called a mold specialist to remove it, figuring it would be gone once and for all. And it is–actually the whole bathroom is gone. Eliminated. For someone who does better with plans, this chaos, along with our decision to start rearranging the house, threw me for a huge loop. And I’m not big on twisty, turning roller coasters which is what I felt I’ve been on for the last few months. Every plan I had made kept getting thrown out. As for the rearranging of the house–that was the result of another change I knew was coming but just not now. I knew our college junior would be leaving home soon. Just not mid-August soon. I had figured he’d stay until he graduated in two years, instead he moved to where he could go to college and was also being considered for a job with the police force. Since our last child was leaving the nest, we decided to move some of the rooms around to better suit our needs (moving my husband’s office from the room at the far end of the garage into my old office, and my office and crafting studio upstairs as it has more natural light (better for crafting). I’ll admit, I wasn’t ready for the change of having no children at home. I still struggle with it as being mom has been the major part of my identity for such a long time–since I was twenty-one. But time moves on. And I know my children need to move on, and forward, to accomplish their goals and dreams. Which bring me to my writing, my dream, and the new-to-me dilemma of having my main character snub me. I finished Altered to Death, the sixth Scrap This mystery (release date Nov 28! pre-order is available), and was excited to begin a new book in the series. I sat down to write…and nothing. I had two main plot ideas and played around with them, but it was going nowhere. Then I tried writing a short-story featuring Faith and again it went nowhere. It was like Faith didn’t want to be in it. She didn’t want to talk to me. I tried getting her engaged in the plot but everything sounded to me like the author (me) was moving the character around the scenes. She wasn’t coming across as being an active participant. The story was going nowhere. What was I to do? There were other ideas for books I had wanted to write, a romantic suspense I wrote a few years that I could polish or rewrite to send off. Or…I wasn’t sure. It had been a long time since I wasn’t sure what to write, where I didn’t have an idea chasing me around demanding to be written. So, I decided fine, I just won’t write for a month. I’ll use the time to put my house back together. And of course that’s when the next book came to me…a new character. A new series. 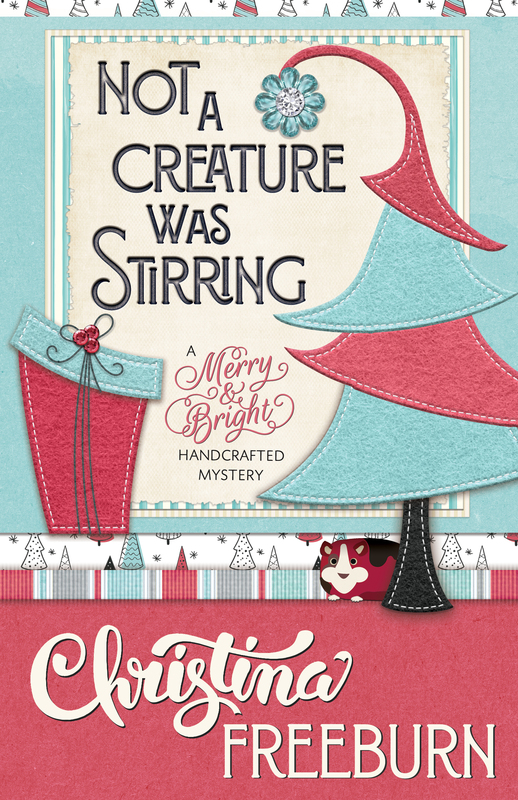 A new mystery featuring a crafting heroine who will be trying to move forward with her dreams as her children are seeking hers. She’s talking to me. A lot. I’m enjoying getting to know her. Masked to Death, the fifth book in the Faith Hunter Scrap This Mystery Series, is now out. I went on my first cruise at the end of 2010 and feel in love with this type of vacation. When part of the plot came to me, I started thinking about where to set the book and recalled that in book one, Cropped to Death, Ted mentioned that his mom worked on a cruise ship. My muse said, “Perfect.”, and the story developed from there. Having had a man she loved accuse her of a crime, Faith won’t let Odessa travel down the same path and agrees to help. Faith sets her course on uncovering the true criminals—which might be a groom’s best friend. The romantic week turns disastrous as a wedding is interrupted, suspicious deaths point to murders, and Ted’s daughter schemes to reunite her parents. Instead of diamonds being a girl’s best friend, Faith finds they’re cruising her toward Davy Jones’ Locker. Over the next few weeks, you can find me (or Masked) visiting a few places in cyber world where I’ll be answering some questions, talking about creating a travel journal and a fictional cruise, and where some readers will let you know a little bit more about Masked to Death. I hope you can stop by. While researching our latest book, Desert Ice, we spent a significant amount of time at the UNLV Library’s Oral History Center. Histories were recorded and transcribed from people who lived and worked there during several eras and cataloged for easy access. Participants that were interviewed talked about their memories of growing up in Vegas. My husband and I were particularly interested in the normal life of people living there: school, social events, work, travel, etc. Several women talked about their homes, backyard parties, school and fashion. Many mentioned their clothes in the 50’s. Some were teenagers in the 1950s talked about their poodle skirts, white blouses with Peter Pan collars and Bunny Shoes. Growing up in the 50’s but in New York, I hadn’t heard of Bunny Shoes, so I investigated and sure enough, it was a popular style of shoe in Vegas and in some parts of the west. They insisted the shoes were comfortable and were sad to see them go out of fashion. Many also talked about their bedrooms, how they shared their room with sisters, cousins, even aunts visiting and staying for a while. Pajama pillows were a big thing then, they came in many shapes: clowns, bears, dogs, just about any design. Entertaining their girlfriends in their bedroom was the social thing to do. Television was late getting to the area, so much time was spent listening to the radio or phonograph records. Local talent and visiting performers were consistently on the radio as well as school groups and community organizations. Once TV began, many mentioned the Howdy Dowdy Show, Lassie, The Mickey Mouse Club, and Gunsmoke. I was surprised how similar my life was to these ladies who also grew up in the 50s separated by thousands of miles. I grew up in a urban Long Island, New York. The hours we spent at the Oral History Center was rewarding in getting the feel for the life and time of 1955 Vegas. When I finished writing Framed to Death, the first thing I did…okay the second after celebrating typing The End…was start working on the outline for book five in the Scrap This series. I always enjoy the first week after completing a book as I’m contemplating the different twists that could occur in Faith’s life. What will happen in her personal life? How about her professional life? How about her role/standing in the community with her role as the go-to-girl when someone has been wrongly accused? How does Faith, or someone in Eden, have ties to victim in the book? Will Faith’s sleuthing cause friction and heartaches in her relationships? These are usually the first questions I ask before I start working on the motivation for the crime, and the suspects in the story. I have to know what’s going on with Faith’s life, and in her community, first and from that point brainstorm a few ideas on what the catalyst for the crime. I have tried plotting a book by deciding on how the murder would happen and where (plus, I always have two strong suspects but I don’t know which one it will be until the end of book), but the story didn’t really come together It felt too clinical, as I was relating everything to the murder and it took away the personal feel that I love about traditional/cozy mysteries. For me, I needed an underlying theme to focus on for the book to have the necessary ‘heart’ to connect Faith, and the reader, to the story. It’s always a fabulous day when I have all the answers to my questions and can start outlining the book. I had found just the perfect idea for the book and started working on the outline, happy with how the plot and subplot were interconnecting. There was a bump or two I still needed to smooth out, but I knew I’d work it out once I started writing the actual book. 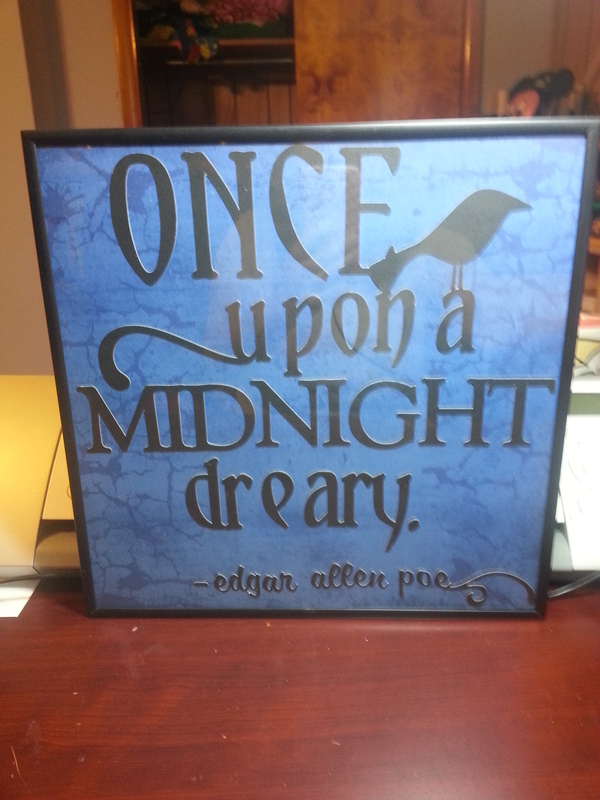 My wonderful editor returned Framed to Death so I put the new book aside and began work on Framed (I must say I love…capital LOVE…editing time). As I drove to the grocery store on Friday, a scene popped into my head for the new book. Usually that is wonderful, but this time the scene had nothing to do with the book I planned to write. This was a new idea. A different setting. Different key secondary characters. Different theme. Different motive. Different future, and hope, for Faith. And today on my way home from the auto repair place, I ‘saw’ the murder with two different scenarios on the when and how it could happen in the story. What is an author to do? And, also had to admit to myself that the new idea worked so much better with the working title. Dare I start on this new path rather than stick with the old? I have a plan. It’s a good plan. But, this new one excites me with the future it holds for Faith, the simple…yet complexity…of the motivation of the killer, and most importantly the opportunity to show a truth I believe in strongly. Can I be brave enough to write this new idea? I put a little bit of me into every book, I believe every writer does, but I’ve always made sure what I included wasn’t too personal and didn’t give away too much of me. Maybe it’s time I did? Maybe, it’s time I did.